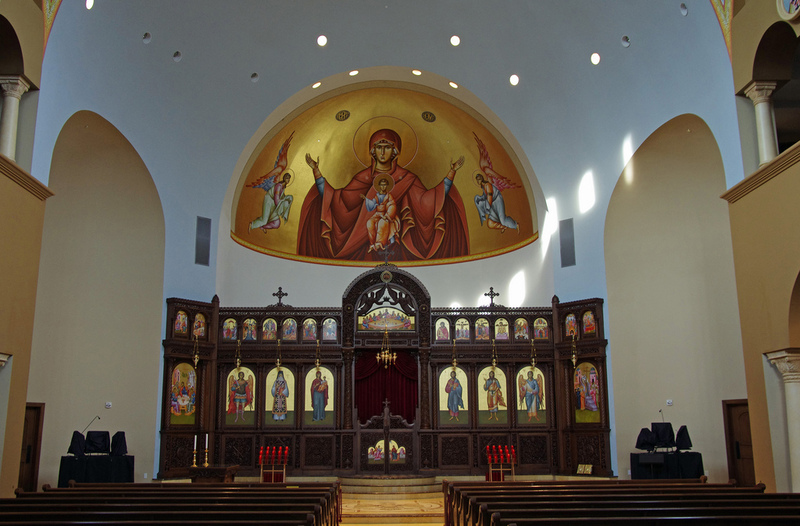 Inside of St. Nektarios Greek Orthodox Church in Charlotte, NC, where Hank Hanegraaff was Chrismated. 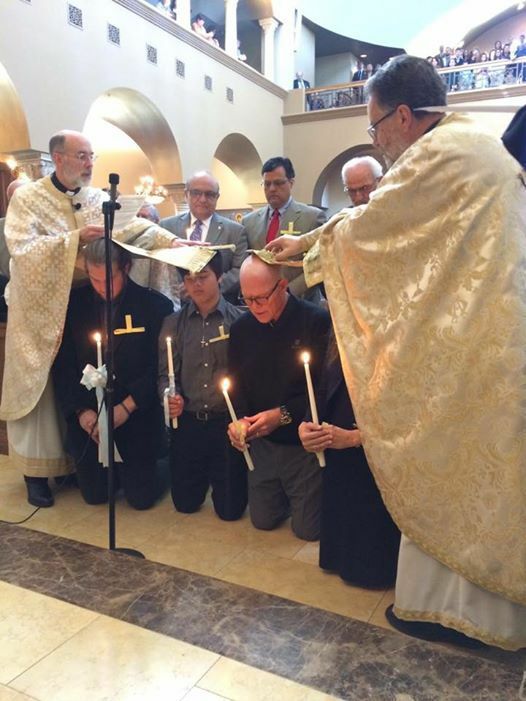 There are numerous reports that Hank Hanegraaff, the well-known talk show host, and evangelical apologist known as “The Bible Answer Man,” has left the biblical Christian faith for Greek Orthodox tradition. It is also reported that Hanegraaff hinted at his possible conversion while defending the Orthodox tradition on his radio program a few weeks ago. Should this really come as a surprise? If these reports are accurate, and I see no reason why they wouldn’t be (a picture speaks a thousand words), then this is merely an example of what happens when professing Christians elevate something other than Scripture as the final authority on all things. In an article by Ken Ham of Answers in Genesis titled Hank Hanegraaff’s Abuse of Biblical Truth, Ham denounces Hanegraaff’s non-authoritative interpretation of Scripture where he even denies the biblical account of the serpent in the Garden of Eden. Hanegraaff is the current president of the apologetics ministry, Christian Research Institute, and was a regular speaker at the National Apologetics Conference put on by Southern Evangelical Seminary in Charlotte, NC, a popular conference among Southern Baptists churches. See also: Is the Eastern Orthodox Church the only true church?